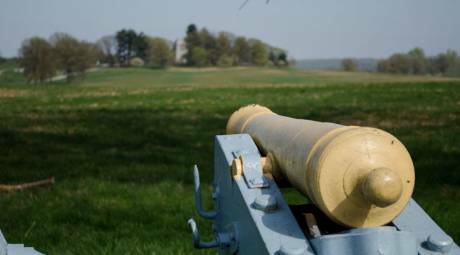 While the Continental Army was at Valley Forge, the artillery was stationed near the center of camp. This would allow ample space for storage, repair and training exercises while also enabling the artillery to be easily dispatched in the event of an enemy attack. The artillery was under the command of Henry Knox. Knox had joined the militia in time to direct cannon fire at the Battle of Bunker Hill, after which General Washington placed him in charge of the artillery regiment for the Continental Army. 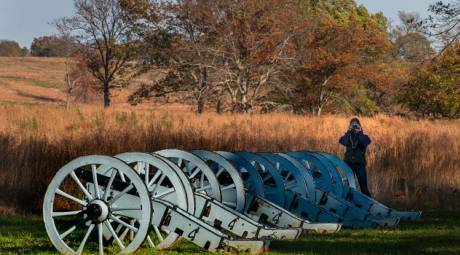 Today, the rows of cannons in the wooded artillery park provide one of the park's most unique photo opportunities all year round.